Knowledge is something that takes time to develop, so we need to start teaching the next generation now. 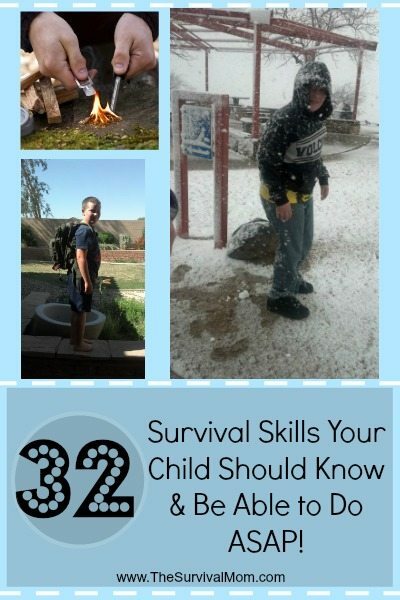 In case God forbid, our children are left to fend for themselves or we are injured or even just to make your family more apt to survive, every child must learn these survival skills so they can pull their own weight and contribute as much as they can. It’s not just physical survival we need to teach them but mental, emotional, and spiritual survival as well. If your family learns now to be a well oiled machine, you will be more likely to survive any type of collapse. Have local edible and medicinal plant foraging skills.